We hope you’re ready to belch out “Oh Canada” at every party you go to this Halloween because with this Canadian Mountie Costume, that’s what everyone will be expecting! If you’re ready to represent Canada’s finest in the party scene then this is the perfect costume for you. You’ll look like the newest recruit of the Royal Canadian Mounted Police. This costume comes with everything you need for a great start in the most feared law enforcement regime the world has ever known. You will have a vibrant red poplin jacket with shiny golden buttons sewn down the center. There are also black velvet epaulets, collar, and matching cuffs on the jacket for a more authentic feel. Then a pair of black poplin jodhpur pants with pads at the thighs will stay securely around your waist with the help of the elastic waist. The black belt and shoulder strap are both made up of faux leather and also are both included with the costume. Add one of our Sheriff Hats and a pair of brown boots to your costume to complete this head to toe transformation. Before you know it, you’ll be able to out do anyone in a maple syrup chugging contest! 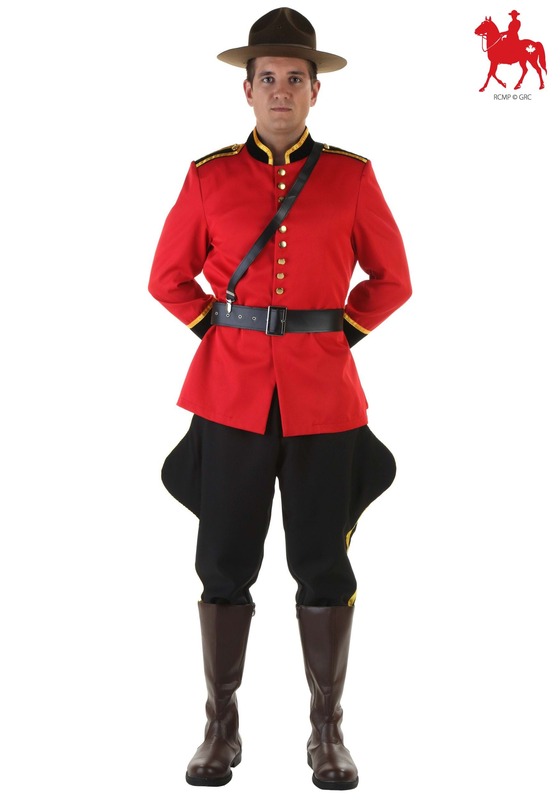 Just don’t be surprised if you start talking with an odd accent, it’s just a slight side effect of wearing such an awesome and fun costume like this Canadian Mountie Costume. If you got what it takes to join this band of mighty warriors then step up and take on a position in the Royal Canadian Mounted Police and ensure safety and fun for everyone in the party scene this Halloween!